The nose is aromatic and pungent with a combination of gooseberry, green apple and cut grass with capsicum aromas that follow onto the palate. Crisp and mouth-wateringly refreshing, it has a tangy dry finish. Marlborough Sauvignon Blanc has become one of New Zealand's major wine varieties appreciated by discerning wine drinkers around the world. 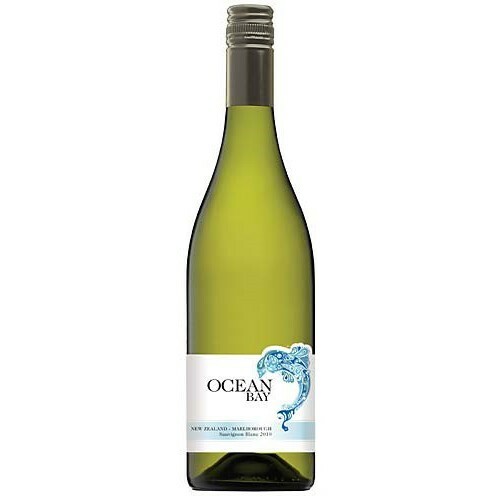 Ocean Bay Sauvignon Blanc is made by the renowned Alan McCorkindale who has been making award winning wines for 26 years. His minimalist approach to all areas of winemaking and vine growing, gives his wines a clean and fresh style that really show the purity of the fruit.